Produktinformationen "City as Art: 100 Notable Works of Architecture in Seoul"
The city of Seoul boasts a long history as a prized territory on the peninsula since the Three Kingdoms period (57 BCE-AD 688) and as the national capital for over 600 years of Joseon Dynasty (1392-1897). History is bound to leave behind architecture, and Seoul is home to myriad buildings, from those constructed in ancient times to 21st century skyscrapers. Many of them have disappeared in the course of wars and modernization, but the architecture still remains to be a perfect media to start tracing back the history of this city. When it comes to more recent buildings, there have been increased efforts in archiving and preserving post-Korean War architecture, and many remain today, witnessing the dynamic changes that the nation has gone through in modern times. City as Arts: 100 Notable Works of Architecture in Seoul aims at introducing the most notable among Seoul' s architecture to visitors and readers from around the world. A city's dignity and stature rely on the preservation of its architecture, which speaks for its history, and also on how effectively its citizens of today can utilize and enjoy them in their everyday lives. One hundred buildings have been selected, based on their significance as historical relic, as work of art and as public facility. Those are also categorized chronologically into six chapters: Traditional Architecture: 15th-Late 19th Century, Early Modern and Colonial Architecture: Late 19th Century-1945, Modern Architecture (1950s-1980s)I, Modern Architecture (1950s-1980s)II, Contemporary Architecture: 1990-Present, Architecture by International Masters. Amidst the strict symmetry of the design, the Joseon Dynasty architecture seeks balance in nature with delicate touches, fine craftsmanship and decorative details. Architectures in this time of Seoul provide excellent examples of the modernized urban hanok, and of how Western style accepts and adapts to the indigenous cultures. The buildings may have embraced Western international style, but its goal lies in boosting up to Korea¡¯s modern spirit. The structural details of skyscrapers on the street of today¡¯s Seoul speak for the triumph of modern technology. Contemporary Architecture can be interpreted as an attempt to blend in with the environment—in other words, a formal attempt to break away from Industrialization. World famous architects projected exotic and unique buildings in the streets of Korea beginning from 2000s in support of post-modernism. 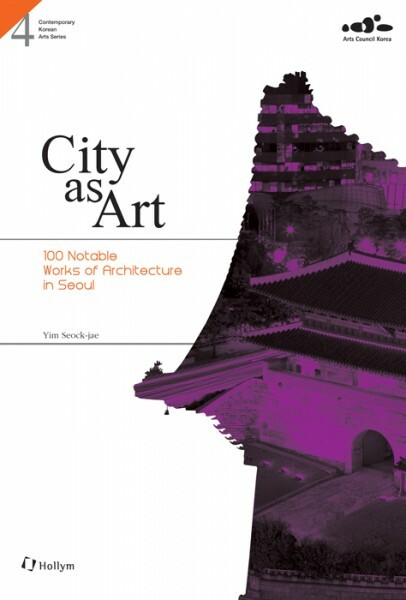 Weiterführende Links zu "City as Art: 100 Notable Works of Architecture in Seoul"
Unser Kommentar zu "City as Art: 100 Notable Works of Architecture in Seoul"
Kundenbewertungen für "City as Art: 100 Notable Works of Architecture in Seoul"